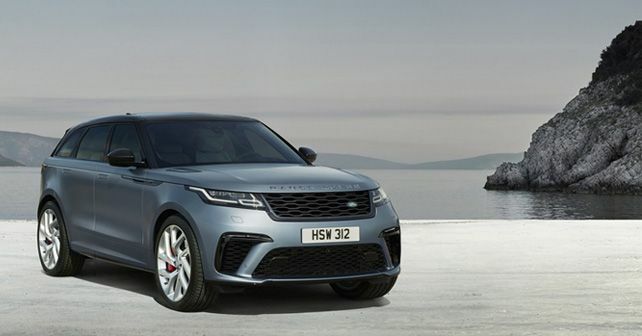 The Range Rover Velar has been to JLR’s Special Vehicle Operations division and returned with 549bhp and more upgrades. Land Rover has just debuted the Range Rover Velar SVAutobiography Dynamic Edition and thrown in a 5.0-litre, supercharged V8. Tuned and transformed by JLR’s SVO division, the engine develops 549bhp and 680Nm of torque. The monster of an engine is mated to an eight-speed automatic transmission allowing the Velar to sprint to a 100km/h from a standstill in just 4.5 seconds. The Velar in SVAutobiography Dynamic Edition spec maxes out at staggering 274km/h. However, the mid-size SUV also comes equipped with larger brakes for adequate stopping power. The front brakes are a set of 395mm discs, while the rear is equipped 396mm discs made in two-piece construction to shed weight. The calipers are painted red and the option of black is also offered. As standard, the SUV sits on 21-inch wheels while a 22-inch set is offered as options. Additionally, SVO has also reworked the all-wheel-drive system of the Velar by beefing up its transfer box. Along with the Active Rear Locking Differential, transmission, steering, and air suspension which have all been reworked to be bespoke to handle the added performance of the powertrain. And now, the electronics are permitted to send 100 per cent of the power to the rear wheels if required. The SVAutobiography Dynamic Edition offers some changes to the Velar’s styling as well. The front bumper gets larger air intakes which channel air to the engine and the brakes to help in cooling. At the back, there are quad exhausts to set it apart from the standard Velar. The interior is now equipped with a sportier steering wheel, with aluminium paddle shifters, additionally, there’s a knurled finish for the infotainment system’s control dials and also for the rotary gear selector. While a carbon fibre pack is also available as an option. 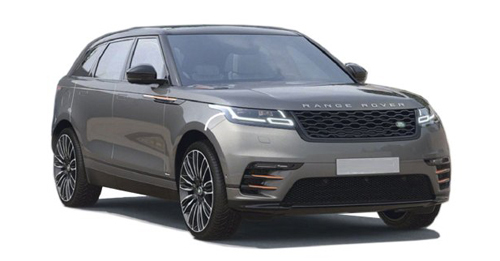 Land Rover will offer the Range Rover Velar SVAutobiography Dynamic Edition in a choice of Firenze Red, Santorini Black, Corris Grey, Fuji White, and Indus Silver colour options. While Satin Byron Blue will also be offered in on special order only.